Ireland’s lush, green lands are home to five times as many cows as humans. Nestled in the beautiful heartland of County Limerick stands Cahill’s farm, whose cheeses are known throughout Ireland as “The crown jewels of Irish gourmet cheese.” For three generations Cahill’s has been handcrafting their award winning farmhouse cheeses to closely guarded Cahill family recipes. Each small, artisan batch of Cahill’s cheese is made according to ancient Irish traditions, using only the highest quality, local, farm-fresh and 100% natural ingredients. Cahill’s Cheddar with Porter is the original Irish porter cheese. Made from pasteurized Holstein Frisian cow’s milk, Cahill’s pure Irish cheddar is mixed with dark porter, brewed to the famed, traditional Irish recipe by the Cahill family. The porter is added after the cheddar curds have formed and the whey has been drained to create the cheese’s dramatically stunning marbling. Carefully aged for at least nine months, Cahill’s Porter Cheese is sealed in dark brown wax to help keep in the moisture. Although deliciously distinctive in flavor, Cahill’s Cheddar with Porter is milder in taste than what is usually thought upon first sight of the dark porter mosaic. The cheddar is smooth and creamy with a nutty tang and fully complemented by the rich, malty veining. 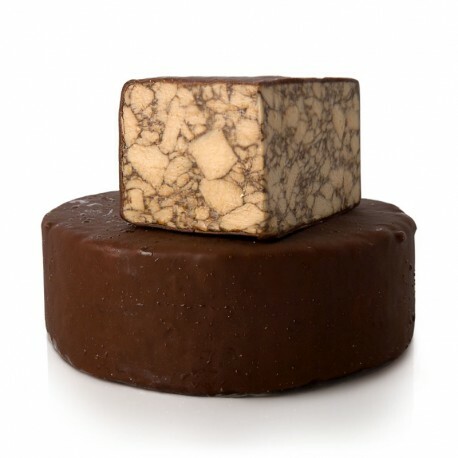 Firmly textured, Cahill’s Porter Cheese has a lovely earthy aroma and is suitable for vegetarians. Application: A perfect cheeseboard centerpiece, Cahill’s Cheddar with Porter goes well with sweet grapes, apples and sausages, is beautiful sliced as an hors d’oeuvre with salads or fantastic and attractive in grilled sandwiches. Pairing: The perfect pairing is, of course, a frosty pint of Guinness stout or Irish porter but a fruity red like Pinot Noir also works beautifully. For six generations the Milano family has been handcrafting traditional salumi in Italy and, for over a century now, in America as well. Known for starting with only the highest quality, 100% natural raw ingredients, Milano imports the finest spices from Italy and uses superior quality meats for all of their salamis and sausages. 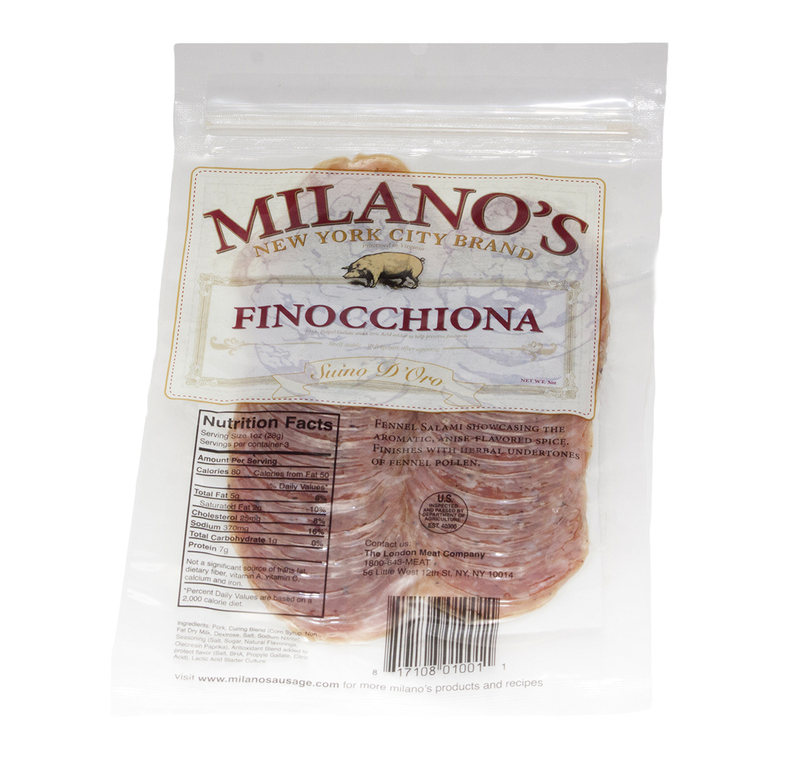 Milano’s Finocchiono (finocchio is Italian for fennel) Salami follows the Tuscan sausage making tradition of adding fennel, the very aromatic, anise tasting spice, and other traditional spices to flavor the pork before curing.